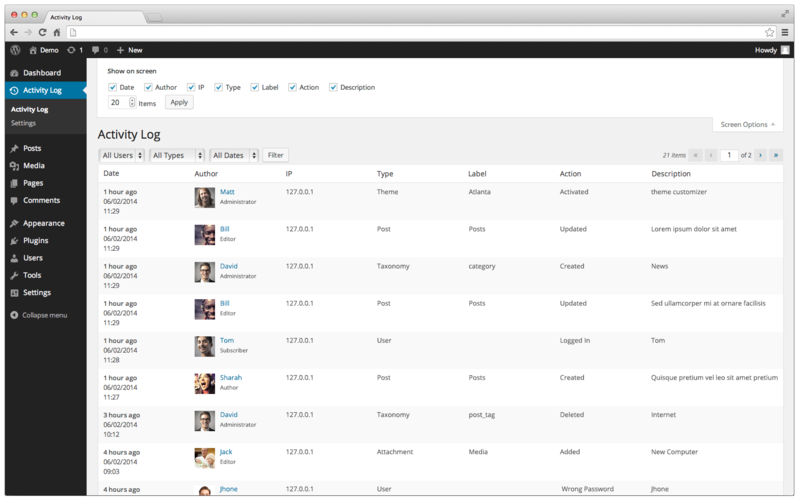 Track and view all your Dashboard activities and changes in an organized way, giving you full management control for your WordPress site. With Activity Log for WordPress plugin you can know what your account users are doing on your site’s Dashboard, with the option of receiving email notifications as well. It’s relatively easy to analyze what your visitors are looking for while browsing your site. But there is really no easy way to know what registered users (with an Administrator account or even Editors) are doing on the Dashboard of your site. How can you know if a post was deleted? Or if a plugin was activated/deactivated? Or if the active theme was changed? If you have tens of users or more, you really can’t know what they’ve changed nor can you know who made those changes. 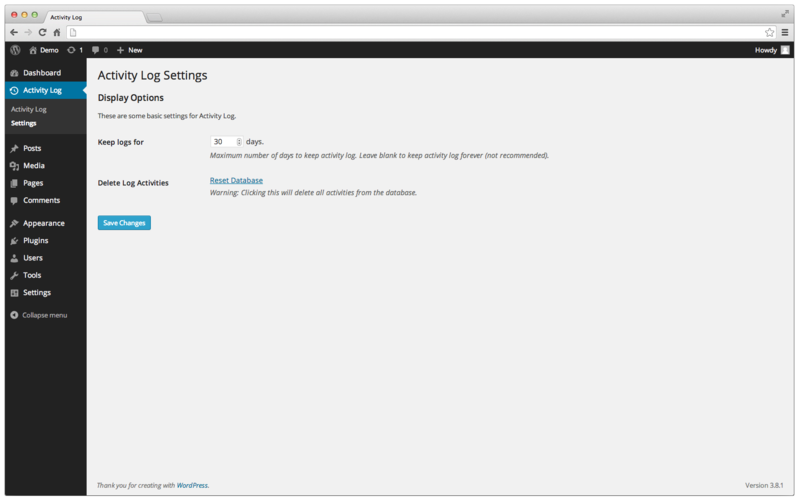 This plugin solves this issue by tracking what users do on the Dashboard of your WordPress site. As of now you are able to receive email notifications once an event has been changed in the setttings. This is especially important if you want to know immediately of any activities occuring in your site.